After taking in the beauty of the bluff, we had a good visit with the Savannah family. My aunt and uncle threw an oyster roast for EA and Scott to celebrate their recent nuptials. 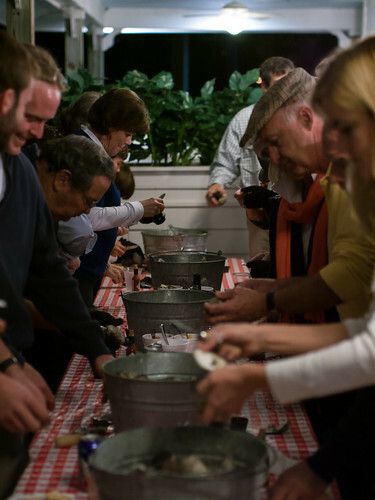 Our family was not shy about digging into these oysters (at least those of us older than 6). 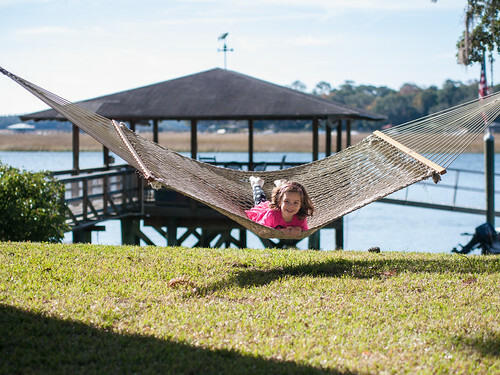 As always, the hammock is the girls' favorite destination at Grandaddy's house. They do love to hug each other. 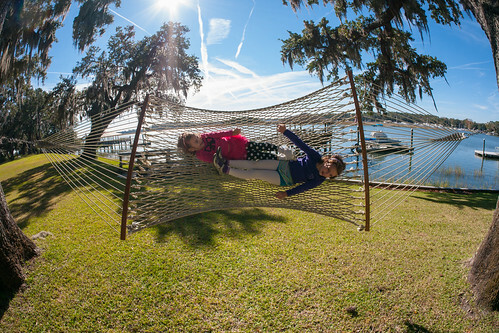 Molly and Leah love for me to swing them in the hammock. Getting a picture while I swing them requires a really wide angle, but I think it works. 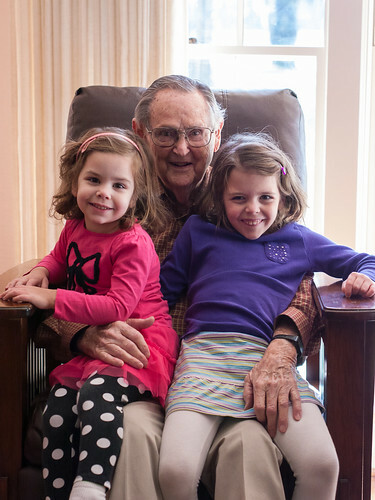 These girls love their great Grandaddy. 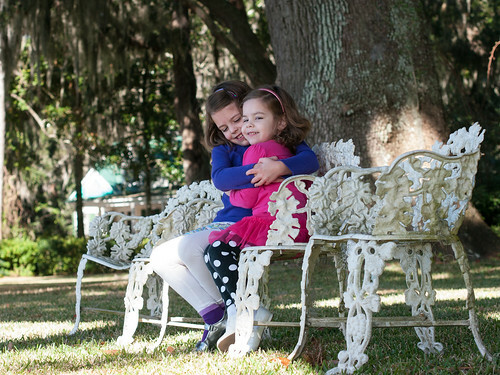 We headed to Grandaddy's house in Savannah to visit the extended family. First stop was of course, the dock. 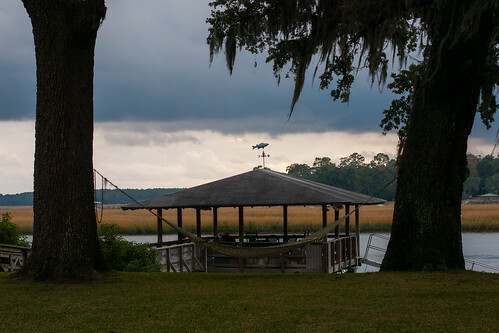 They had beautiful weather in the mid-60's in the location that is my definition of serene. The river was so still, it was great. I got several pictures of the bluff. In the calm, the clouds roll in. 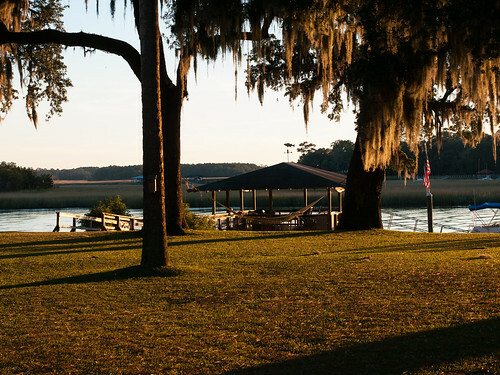 Grandaddy's house is in an incredible location. 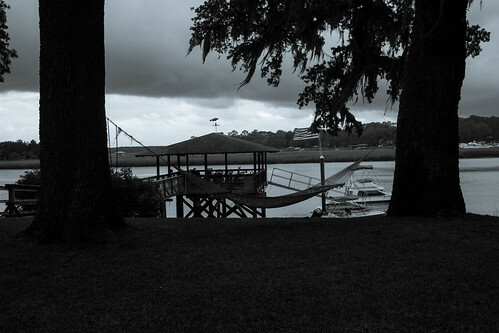 This picture is shot from the dock looking back at the bluff. Grandaddy's house is in the center, with the old plantation house to its right. 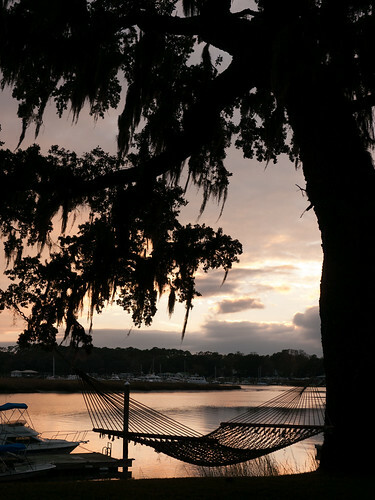 Hammock, still river, disappearing sun. Serenity. 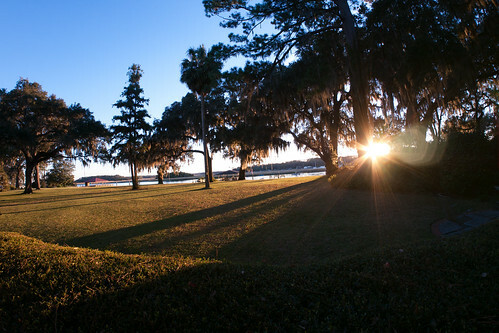 The golden light of the sunset illuminates the Spanish moss on the bluff. 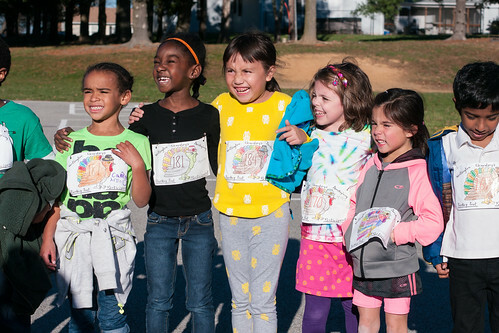 Molly's school had a Turkey Trot - a short (about 1 mile) fun run for all the kids. 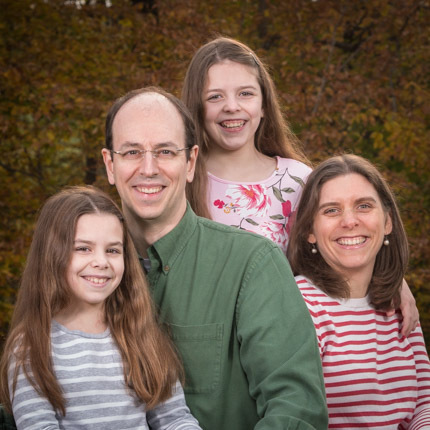 They invited parents to join in as well. When I asked Molly about this, she said she wanted me to come but not to run. She wanted me to just take pictures of her running. I asked her several times in the days leading up to the run and she was quite sure that's what she wanted me to do. So, when the day arrived I walked over to school with my backpack full, including my camera and 5 lenses. 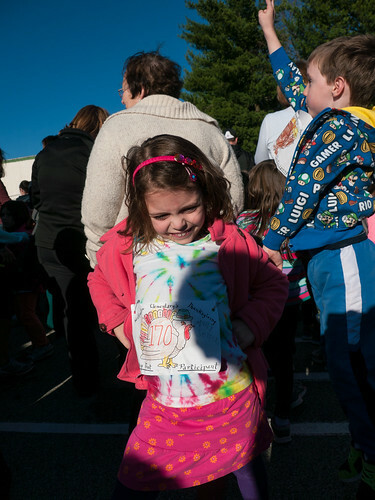 Molly was excited and ready to run with her race bib. Of course, then she told me she changed her mind and did want me to run with her. At least I was wearing sneakers with my jeans. So, I ran alongside her with my backpack bouncing around. I didn't get any pictures during the run for obvious reasons. 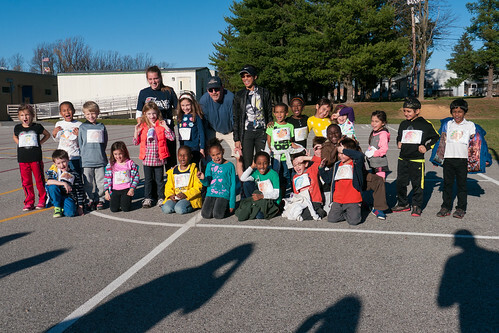 After the run, we met up with the rest of her class. These girls don't look tired at all. And here's the whole class. 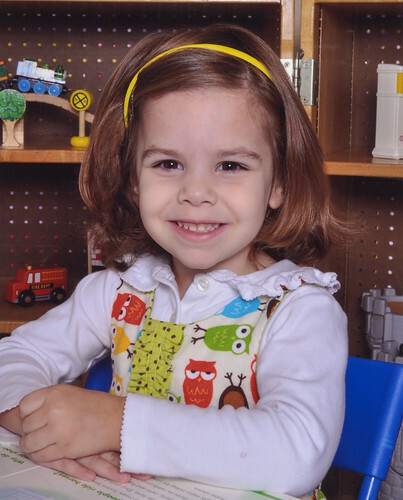 Leah's first school picture. She looks so grown up. When she got home with it, she had to show Chad that she had "looked at the camera". She was so excited. Perhaps she'll be more willing to look at the camera when he's behind it now. As a 1st grader, Molly's very experienced at this now. 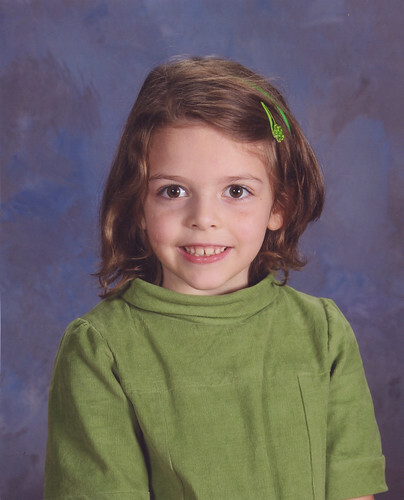 And she is indeed wearing the School Photo dress I made her for picture day. Leah is ready to go with her giant hair. Molly decided to get herself dressed, and we did not realize that she actually had her costume on backwards until we were walking to our neighbors house to start trick-or-treating. Oops! 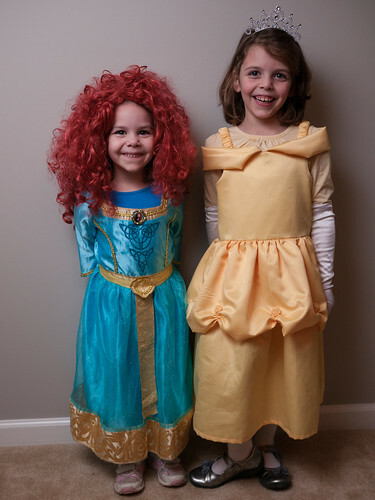 We joined a bunch of our neighbors at our backdoor neighbors house before starting trick-or-treating. 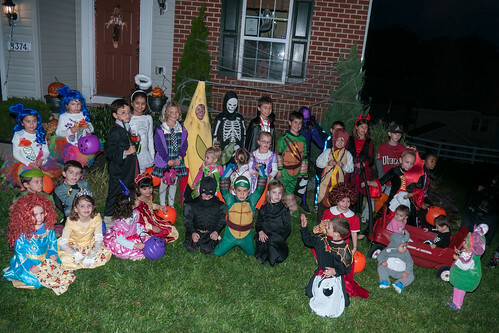 Here are most of the kids who met up to trick-or-treat. 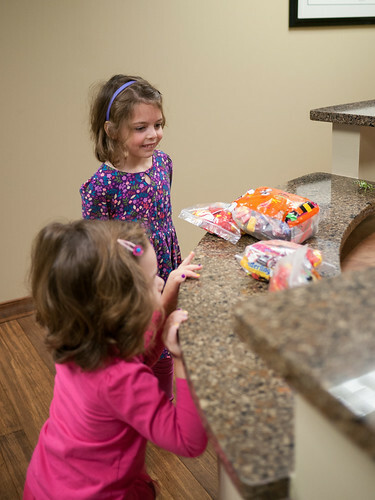 The day after Halloween, Molly and Leah donated 4.5 pounds of candy to Operation Gratitude at our dentist office. The program sends care packages to troops serving overseas. 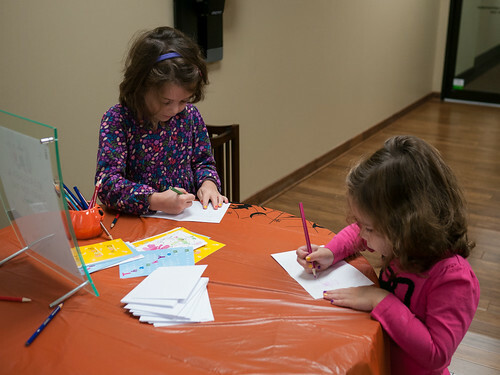 They also made Thank You cards to send with their candy. They were both eager to draw pictures and tell the soldiers "Thank You for protecting us." 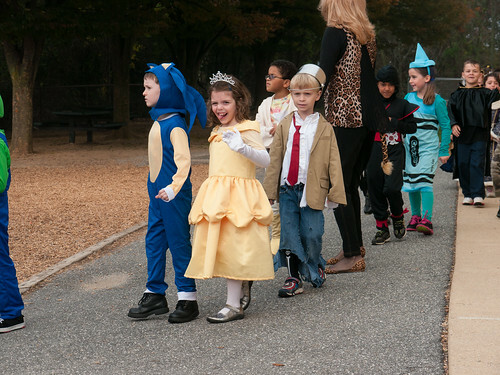 Leah's preschool class learned some Halloween songs, just as Molly did 3 years ago. Leah was excited to show off her songs for us.